This statement from Loretta Lynch, the former attorney general of the United States, draws attention towards the importance of elections; however, it is only a fraction of how important elections are. Election is the founding process of a democratic system in which contribution of each citizen is reflected. Fair contribution of people in forming their government is only possible when voters are accurately identified. Unfortunately, in many parts of the world election process is not as clean as it should be and there are grave flaws that make the whole process unconvincing. In this article, we will take a deeper look at the use of biometric identification for fair electoral and its worldwide deployments. 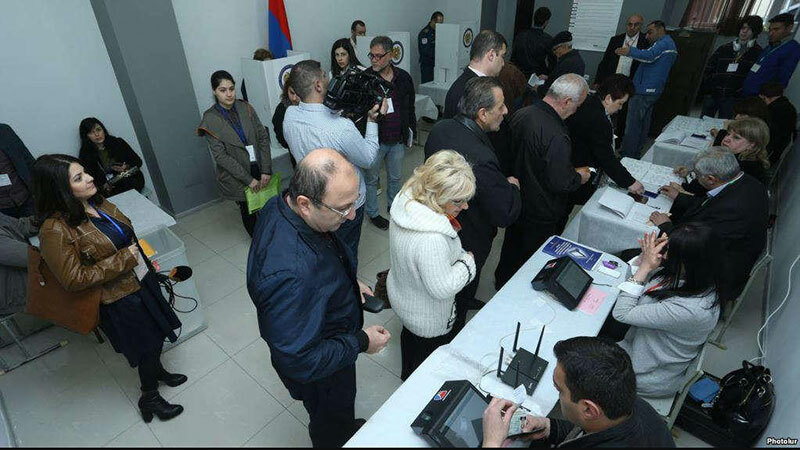 Image: Armenia uses biometric voter identification in elections, photo of a polling booth equipped with biometric voter identification equipment. There is no set global standard for election process, different countries perform it differently. Some make extensive use of technology while some are still on manual system. Regardless of ways to organize them, elections have common objectives, no matter where they take place. Different countries may choose to achieve these objectives as per their suitability. In under-developed economies, where elections have to be managed in low budget, the process usually takes place with manual methods. In developing and developed countries, use of technology has become a commonplace. In some countries, voters are even allowed to vote via the internet. Despite following the same democratic system of the government, a country may have unique challenges in election process. One person one vote is an ideal situation in an electoral process; however, it may be far from reality in countries where the election process is flawed. Fraudsters may take advantage of the shortcomings of election process and manipulate the results. For example, loopholes in voter registration lead to electoral fraud by allowing multiple voter registrations, registration of ineligible voters or under age population, etc. Why voter registration is crucial? In the entire election process, voter registration is a crucial activity that that a country’s election management body has to perform. It takes a lot of time and resources to get voters registered and is an expensive endeavour. A credible voter register is very important to ensure that One Person One Vote motto of election process can be upheld. In an ideal situation, every eligible voter should be on electoral register. An inaccurate voter registers will not only incapacitate eligible voters from casting their vote, but also open doors for electoral fraud and will result in untrustworthy results of elections. Organizing elections is another complex as well as expensive endeavour and an inaccurate voter register will make its legitimacy questionable. Lost trust of people and public protest may be other by-products of such elections. Elections organized on the basis of inaccurate electoral register will only drain funds without serving the actual purpose of the elections. How voter registration can be improved? If traditional voter identification and registration methods had been doing a good job, there would have been no need to look for better ways to do it. First off, traditional methods offer a painfully slow process of identification and require a lot of manual efforts when done with ID cards or similar methods. They are insecure too and can be easily faked by fraudsters. Voter registration with ID cards or voter ID cards have been implemented in many countries around the world, however, it suffers with loopholes like a voter obtaining multiple cards or faking identity by using someone else’s card. Voter ID cards have to be kept small to enable people to carry them easily, and pasting a photograph in such small space comes with its own disadvantages: zoomed out image, reduced and sometime even distorted quality of photograph, and it can give a fake voter benefit of doubt. Voter ID cards alone may not be the efficient way of voter registration, however there they can be made efficient using technology based human identification methods like biometrics. Commercial as well as government organizations are increasingly taking up biometrics for identification and authentication applications. Speed, accuracy and efficiency are some of the reasons why biometrics is now considered to be the future of human identification. Biometrics is changing the way people are identified and voter registration is not an exception. Many countries around the world have already adopted or considering biometrics for voter identification in elections. According to International IDEA’s ICTs in Elections Database, as of 2016, 35 per cent of over 130 surveyed electoral management bodies were capturing biometric data as part of their voter registration process. 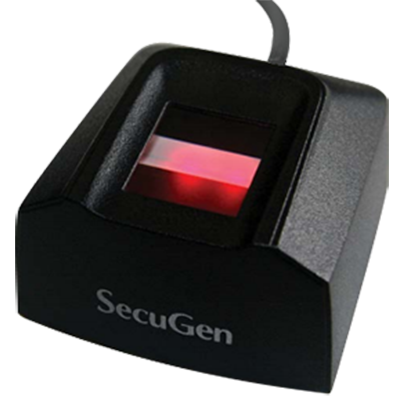 Biometric technology is widely used in the registration process, especially in Africa and Latin America. In 32 per cent of surveyed countries, voter registers are based on civil registers. In many cases, civic registration systems contain biometric data that can be used for electoral purposes. 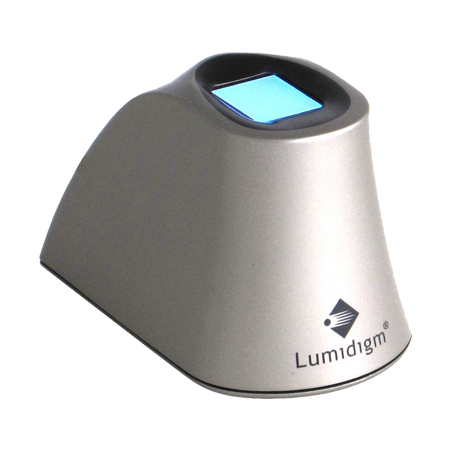 Deploying biometrics can be a complex and challenging endeavour. Biometrics is often considered when existing system is not able to address challenges related with voter registration, identification, electoral fraud and electoral register. Existing systems may have taken years to develop and stabilize and replacing it with a new system can claim a lot of study, time, efforts and financial planning. Following are the stages and consideration that take place during the process of introducing biometrics in election process. To clearly understand the goals and expectation of stakeholders. Establishing that expectations can be realistically met. Study and review of existing procedures to identify shortcomings. Understanding the scope of improvements with the deployment of biometrics. Taking available system options into account that can are best fit to address the shortcomings analysed in initial assessment. Cost analysis and examining that the systems taken into consideration also confirm with the budget. Can the chosen system have negative impact on voters in anyway? If yes, how it can be addressed? Demonstration and evolution of chosen system that can be procured, preparation of the technical specification of the most suitable system. This stage takes care of financial aspects of implementation of biometric identification in elections. Deploying biometrics for voter registration and identification require a significant amount of funding. This stage also figures out if the initial funding can secure biometric system for long run or it is only adequate for initial rollout. Making sure that funding present rollout and future expansions will be available on time is also a part of this stage, so that delays can be avoided. Review of legislations related with election process and voter registration takes place in this stage. Both existing and new legislations should be reviewed as switching to biometric technology in elections can conflict with some clauses which were inapplicable with previous system. Not only some laws may become effective with the use of biometric technology in elections, others can also become ineffective. A detailed review should be performed to ensure adherence with the local law. Special attention should be paid to laws related with personal and biometric data collection. Since data privacy is becoming a sensitive subject amid increasing data security risks, implementers should put best efforts to avoid any conflict with the law. Pilot run is the best way to test the new system. When system is through the testing and ready to take up the challenge of voter registration and identification. It can be deployed for a pilot run in smaller elections, e.g. at the municipal election. Before that, mock voter registration can be exercised with a group of people. Feedback from pilot run will let implementers address the shortcomings before a large scale or national rollout. Estimation of procurement may often go wrong it can take way longer than anticipated to produce, procure and import new voter registration and identification technology. To achieve the targets, sufficient time should be taken for the process of procurement. In a larger rollout, time taken for equipment distribution and installation can be overwhelming. It becomes necessary to allow sufficient time for distribution of the system and its installation. Test runs before the pilot can also be a time consuming endeavour. Once past the test run and done addressing the shortcomings of the system, it can be expended to more precincts and then national level. There are many nations around the world that have already deployed biometric identification for elections. For example, with 2,564,195 registered voters, Armenia is among the countries that have implemented biometrics in election process. Voters are identified using their fingerprints and cast their votes electronically. The biometric system was deployed to mitigate the concerns of illegal proxy voting on behalf of absent voters. Once system is all set, there comes the need of people who can take voters through biometric elections. In this stage, recruitment and training of people takes place. These trained individuals will bear the responsibility of taking voters through the new system. Gaps in recruitment or training may result in surprises on the day of elections. Many deployments of biometrics in elections have taken place across the world. This trend is more evident in developing and under-developed economies than the developed nations. Countries, where election system is either fundamentally flawed or have been challenged by inadequacies, are stepping up to choose biometrics for a reliable electoral register. International IDEA (The International Institute for Democracy and Electoral Assistance) can provide trustworthy data for global deployments of biometrics in elections. International IDEA is an observer organization that works to support and strengthen democratic institutions and processes around the world. This intergovernmental organization helps develop sustainable, legitimate and effective democracies. Following are the stats related with the use of biometric in elections taken from the survey conducted by International IDEA in 2016. IDEA surveyed 130 EBMs (Electoral Management Bodies) and found 35% of them were capturing biometric data for registering voters. This process was more evident in Latin American and African countries. Voter registers were found based on civil registers in as many as 32% surveyed countries. Biometric information for voter identification at polling station was leveraged by as much as 25% of the surveyed EBMs. However, in most cased, the verification of biometric information was done manually. Election staff compared facial features of the voters against the photographs on voters’ list by visual observation. Only 9% of the surveyed countries were found using electronic means for biometric identification of voters. Majority of electronic devices for voter identification at polling stations were found to lack biometric ability. Only 23% of the surveyed Electoral Management Bodies used electronic identification devices at polling stations but 60% of these devices had no biometric capability. According to International IDEA’s ICTs in Elections Database as of 2016, deployments of biometrics for elections have experienced steady growth throughout the world, however there are significant differences between regions. Bangladesh’s efforts towards implementation of biometrics in elections are an example of commitment and administrative efficiency in challenging circumstances. Idea of biometric voter registration sparked the country when ninth parliamentary elections in 2007 had to be postponed due to poor quality of voter list. Suffering with errors like duplicates, missing names of eligible voters and containing names in error, made the voter list unreliable. This voter list of approximately 12.2 million voters had to be abandoned and the country took the step towards the biometric voter identification. In order to deploy biometrics in election process, the country had to face many administrative, legal, political, logistical, social and environmental challenges. There was no legal framework for the collection of sensitive biometric data of voters. Since the elections had already been postponed, there was a pressure to produce a credible voter list and reorganize the elections as soon as possible. Most voters lived in remote areas with very limited road connectivity. The country passed the required legislations to collect the biometric data of voters and signed an MoU with the armed forces to leverage their operational efficiency and status of government institution. With the administrative efficiency and synchronization in various government institutions, the electoral commission of Bangladesh registered 80.5 million voters and distributed NIDs to them in just 11 months. With the voter list with biometric credibility, the country reorganized its postponed election on December 29, 2008, which was subsequently assessed as the ‘best election in the country’s history’ by observers from the International Republican Institute (IRI 2009). When the EU observer group found inefficiencies in manually processed voter register OF Fiji, the government initiated efforts to introduce biometric in elections. Before 2012, voters in Fiji were registered by door to door visits done by the Office of the Supervisor of Elections (which was renamed the Fijian Elections Office (FEO) in 2014, when new Electoral Act promulgated). Data was collected manually and entered in a central database later. This process introduced many flaws in the records like misspelled voters’ names, failure to register a large numbers of eligible voters and incorrect constituency allocations. Errors like these deprived many eligible voters of their right to vote. After inefficiencies being pointed out by the EU observer group, the Fijian Government initiated a scooping and assessment exercise to determine the requirements of electronic voter registration. Bidding process to initiate the deployment got an international vendor to engage with the government for implementation of electronic voter registration system. The vendor was responsible to arrange required hardware, software, biometric equipment with support and training required during the implementation. To enabled voters to register electronically, laptop computers, mobile fingerprint readers and handheld webcams were used. These devices and equipment are stored and carried in the water-proof kits, making them secure and easy to carry in different weather conditions. House-to-house visits for voter registration were abandoned and eligible voters were invited at a certain venue for electronic registration. After filling personal and other details in voter registration form, photograph and thumb prints are captured electronically. After the data recording, an electronic voter registration card or EVR card is issued to the newly registered voter, which can also be used as an ID card in Fiji. At the time of voting, the laptop computers carrying voter information are deployed at polling stations. These computers can work offline and do not require internet to perform voter identification. More than one computers can be connected via the local area network if required. Voter fingerprints are scanned to check the voter eligibility. If the system fails to recognize the voter fingerprints for any reason, details can be searched manually. If manual search is successful, voter’s picture is displayed on a large screen so that everyone, including the poll workers and observers can identify the voter by comparing the voter with his/her photo. If identified successfully, he/she is issued a paper receipt to vote. At the time of elections, all necessary data is imported from the electronic civil register, which includes biometric and biographic data of eligible voters. This data is loaded in laptop computers, which are deployed at polling stations for voter identification. Export process, registration software system configuration and other equipment are supervised and certified by the Working Group on Automated Election System Certification, which consists of the General Intelligence Agency of Mongolia, the Communications and Information Technology Authority and the General Election Commission (GEC). In order to introduce biometric voter registration, an electronic civil registered was established that included a database of personal as well as biometric information like fingerprints and photos. Before 2008, Mongolia used all manual method for voter registration. A paper based population register was the keeper of voter information. As it is the case with manual record keeping, it was hard to manage and suffered from errors. These errors led to civil protest after the parliamentary elections of 2008. People questioned the legitimacy of elections as results were delayed and elections suffered from mistakes like group division and politicization. It was the first time when an automated election system was considered by the parties represented in parliament to restore the credibility of the electoral process. Mongolia’s efforts towards implementation of biometric identification in elections resulted from a public protest after inaccuracies were recorded in elections. Nigeria’s biometric voter registration project met with initial hiccups, shortage of fund and time, however, the country was eventually able to overcome these challenges. Nigeria is among the countries that have adopted biometrics for voter registration. Before the implementation of biometric identification, voter registration process was all manual and data was also compiled manually. It piled inaccuracies over time and suffered with duplicate and underage registrations. Independent National Election Commission (INEC) is the electoral body, which was set up to oversee elections in Nigeria. INEC proposed the concept of electronic voting system in 2006. An electronic voter register (EVR), electronic voter authentication, electronic voting machines and electronic transmission of results including biometric technologies were the main components of this concept. 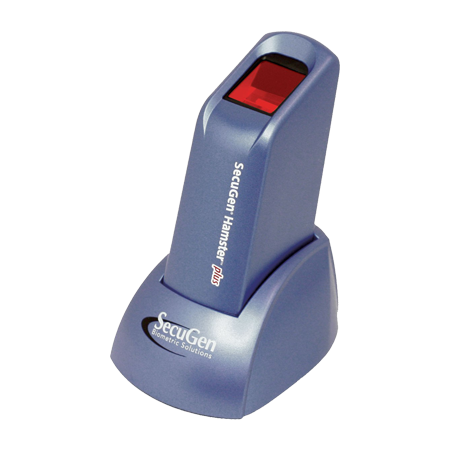 Initial attempts of capturing biometric and biographical data with handheld direct data capture devices started in 2006. It included a photograph, two thumb prints and biographical data of voters. This data was used in 2007 general elections. These registers, however, were abandoned later due to irregularities like double registrations and misplaced voters. When 2011’s election approached, the need of voter registration arose again. The country had several issued to address before to elections. Lack of funds, need to amend the electoral law and keeping the cost of voter registration in control were the major challenges. An open source voter registration system was chosen to keep cost in control and meet the country’s need of simple, fast and secure process. Time was another constraint. Country’s 120,000 polling units required 132,000 registration systems, and the contract was finalised just two months before the elections. Supplied DDCMs (Direct Data Capture Machines) were used for capturing fingerprints and photographs including the demographics of the voters. The resulted voter register was considered to be the best one so far by the INEC. For the 2015 general elections, permanent voter cards (PVCs) and smart card readers (SCRs) were introduced by INEC in order to further optimize the process. PVCs were based on smart cards and it stored voter demographics, photographs and biometrics. The country used smart card readers to check the validity of the card followed by a fingerprint scan of the bearer. SCRs allowed this process only once and no repeat authentication was possible during the voting. Once the voter is positively identified, he/she could proceed to vote. To achieve the legitimacy, accuracy and efficiency in elections, Electoral Commission of Uganda (ECU) has leveraged information technology to computerize its core activities. Prior to this technological revolution, the country processed voter data manually. However, it switched to computer based voter database for the first time in 2001 and printed the voter lists using computer printers. Ugandan government’s progressive approach towards adopting technology led the election process of the country to biometric voter registration. Uganda became the one of the first adopters of biometrics in Africa when biometric voter register was introduced by ECU. This effort towards biometric voter registration was a part of Photographic Voter Registration and Identification Systems (PVRIS) project. To register a voter, his/her photo was captured with a digital camera and biographical information was taken on a printed form at that time. These efforts resulted in cleaning up the voter registered and it reduced from approximately 11.5 million to 8.5 million. A face recognition software was used by the ECU to detect multiple registrations, while data entry was done using high speed scanners OCR software. This first photographic voter register was first successfully used in 2006 elections. ECU later planned to improve the system before the 2011 general elections by deploying a biometric voter registration system. Efforts in this direction started with a pilot project during the nation-wide general update of the voter register. Mobile data capture units were used during the implementation. These units included camera, laptop computer, signature pad and other equipment integrated into a registration kit. These mobile data capture units were able to capture voters’ biometric, demographic and biographical data electronically. 4.2 million new voters were added in the pilot phase using the new system. The system also helped clean the electoral register by eliminating duplicates. These efforts resulted in a more legitimate voter register of 13.9 million voters for the general elections of 2011. Later the country commenced Biometric Voter Registration and National ID Project for mass registration of Ugandan citizens as well as resident aliens and issued them national ID and alien ID cards, respectively. The country ran the project for four months initially and successfully enrolled 16.7 million people. Later the exercise was extended for people who were not able to register during the initial drive. The country is looking forward to leverage the national biometric register for voter identification, which is yet to be fully implemented. Once national biometric register is in place, it will become easier to prepare the voter register by extracting data of all eligible voters (i.e. individuals fulfilling the criteria like age, nationality, etc.). Whenever there is a general election on the way, ECZ organizes mobile voter registration campaigns to update the permanent register. 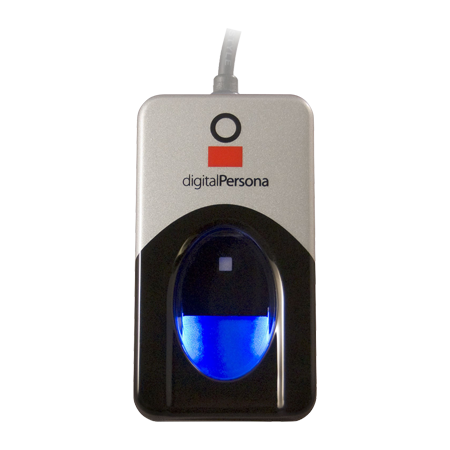 These biometric voter registration kits do not require internet connectivity to operate and can capture voter fingerprints and photographs. Fingerprints help ECZ officials to deduplicate the national database, while photos are printed on register and card to help officials visually identify the voters. Improving the process of voter registration was one of the key areas when Zambia stepped up for electoral reforms after 2001. Electoral Commission of Zambia (ECZ) chose biometric technology to replace the existing system of voter registration. Biometrics suited their objectives of continuous voter registration, which allowed existing register to be pre-loaded onto registration kits during the registration update drives. It also offered enhanced accuracy with data validation at the point of capture and registration on-the-go during mobile campaigns. After the 2001’s general elections, the government of Zambia felt the need of electoral reforms, which ended up with biometric voter registration. What biometrics cannot fix in the election process? Biometrics can dramatically improve voter registration and identification in elections, using voters’ unique characteristics that are extremely hard to be forged, copied or spoof by other individuals. Voter identification is a crucial aspect in an election process, however, this is not the only challenge in it. Biometric systems cannot detect age of the voters. If authorities allow underage registrations, biometric systems will not help. A culture of voter intimidation at polling station has been observed in many countries, this is something that cannot be fixed with biometrics. Biometric systems cannot guarantee 100% enrollment or identification success. Operational flaws in the system cannot be fixed with biometrics. It also cannot prevent manipulations and mistakes. Human identification throughout the world is moving towards biometrics, in which their own unique traits are leveraged to identify them, eliminating the need of cards or any other external artefact. Voter identification is also not an exception of this trend. More than fifty countries have already implemented biometrics in elections for accurate voter registration, cleaning up the electoral register and to weed out ineligible voters. With biometrics replacing traditional methods of voter identification, we can hope a clean democratic system ruling the planet soon. Democracy is deemed to be the best system of government, in which each eligible citizen can contribute. However, taking opinion of each citizen is a large and complex endeavour with its own unique challenges, voter identification being one of them. Present day status of election process around the world is probably better than ever, just because there are ways to keep things fair in elections.